It is crucial for your pet’s vision that we detect and treat glaucoma and other problems with intraocular pressure testing (testing pressure within the eye) as quickly as possible. 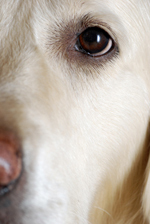 We can test your dog or cat’s eyes for excess pressure. The test, performed with a device called a tonometer, is not painful and does not require sedation.